Oceanfront!! May 25 to 31st available! Free beach chair setup included!! Come and enjoy the worlds most beautiful beaches from our Summerhouse condominium. We have a gorgeous view from our 10th floor condominium! Our condominium is tastefully decorated. Constantly maintained and upgraded to assure the perfect tropical getaway for you and your family. 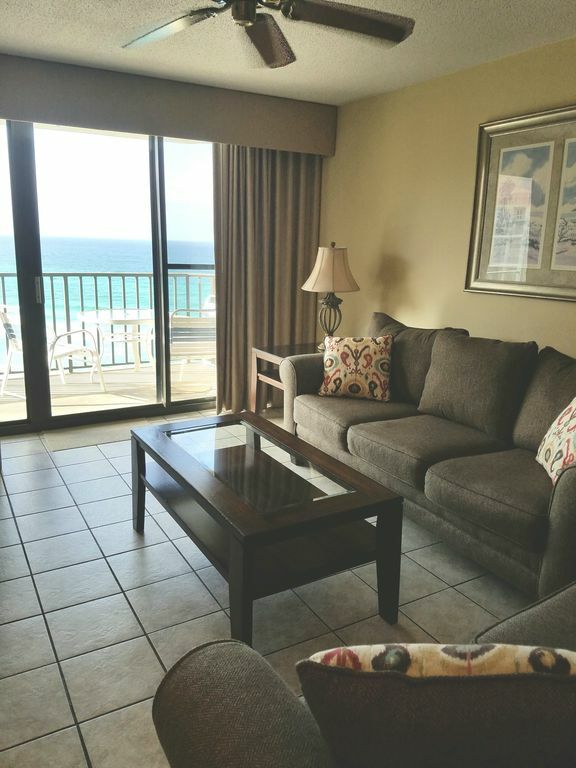 You can enjoy the ocean waves from your private balcony that opens into the living room and huge master bedroom. Our balcony also overlooks the two pools. One is heated in the winter. There is a kiddie pool, hot tub and a gazebo. The complex is very family-oriented. There are gas grills and picnic tables at our complex. The unit can sleep 8 guests. There are two full-size beds in the guest bedroom, a king sized bed in the master suite and also a pull out sofa in the livingroom. Each bedroom has cable TVs.